Join us this Sunday, April 2, to help plant some rescued local native hazelnuts and pawpaws in areas recently cleared of invasive brush near Veblen House. As with the pawpaws planted last year, we'll stake and protect the new plantings with wire fencing. 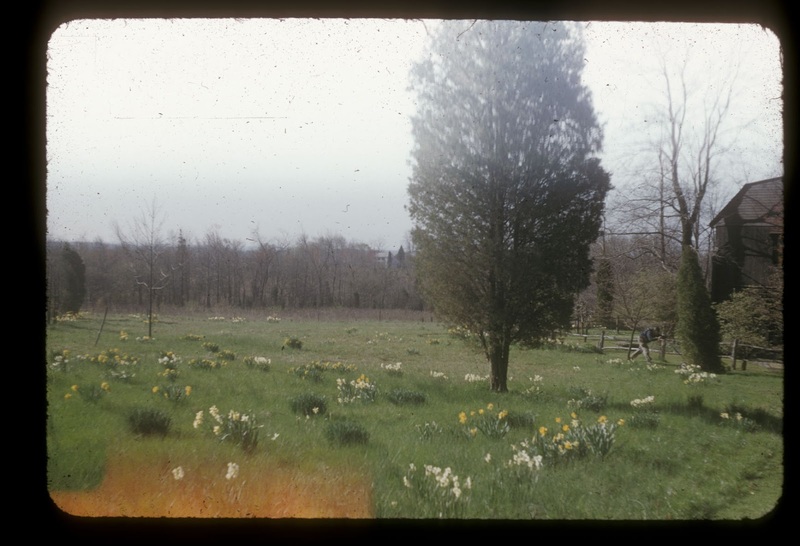 The plantings are part of the envisioned "ecological campus" on the grounds surrounding the Veblen House and Cottage, on the east side of Herrontown Woods. We'll also do some cleanup, including mending recent damage to the lawn, where trucks made deep ruts and spilled some road salt. The ruts may prove a good place to plant rescued daffodils. 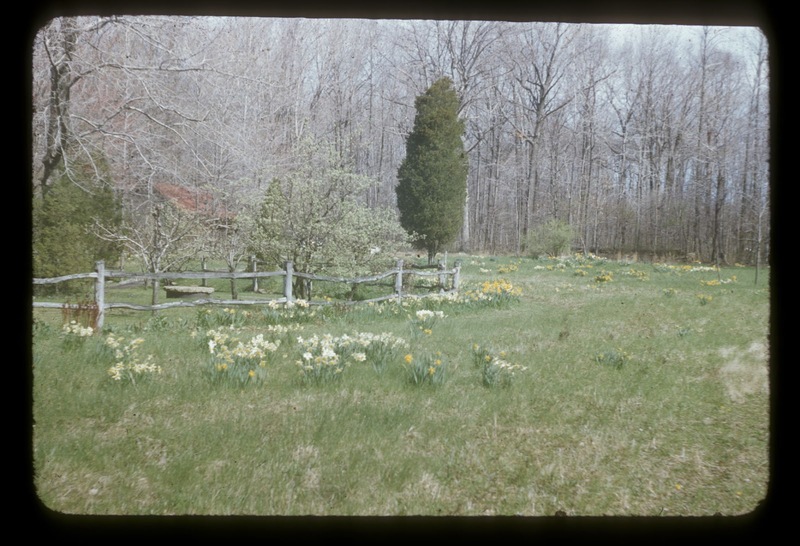 Elizabeth Veblen, who generously left the house for public use after she died in 1974, grew up in York, England, and loved daffodils. These photos from 1953 show daffodils in the field where the trucks recently left deep ruts. Sunday, we may begin restoring the field to its historic look. If you'd like to come but can't do the physical work, you can always lend moral support and hear the latest news. We'll have refreshments. Kids welcome. Park down the driveway across the street from 443 Herrontown Rd, or walk up from the Herrontown Woods main parking lot. Ground will likely be moist, so dress accordingly. UPDATE ON OUR PROPOSAL TO ACQUIRE AND REPAIR THE VEBLEN HOUSE AND COTTAGE: Two months ago, the Friends of Herrontown Woods submitted an official proposal to Mercer County to acquire and restore the Veblen House and cottage, to create a Veblen Center and ecological campus on the surrounding grounds. In particular, the house is of sound structure with wonderful custom interior. Though we have made great progress restoring the grounds of Veblen House, the county has not as yet given us permission to begin repairs of the buildings. We have submitted the insurance we believe sufficient to handle any liability concerns, so that we can begin repairing the buildings as soon as possible. Having demonstrated our skill and dedication by caring for the 140 acre county-owned Herrontown Woods over the past four years, we are awaiting a county response to our proposal so that we can negotiate a means to put these historic structures on a positive trajectory.